Find Cash Advance, Debt Consolidation and more at Cafe-Relax.net. Get the best of Insurance or Free Credit Report, browse our section on Cell Phones or learn about Life Insurance. 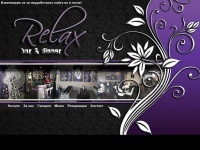 Cafe-Relax.net is the site for Cash Advance. The web server used by Cafe-relax.net is located near the city of Costa Mesa, USA and is run by eNom, Incorporated. There are many websites run by this web server. The operator uses this server for many hosting clients. In total there are at least 1,729 websites on this server. The language of these websites is mostly english. The websites of Cafe-relax.net are hosted by a Microsoft-IIS server and were developed in the programming language ASP.NET. The markup language of the website is XHTML 1.0 Strict. The visitor analysis software Google Analytics is used to analyze the visitors of the websites. The website does not specify details about the inclusion of its content in search engines. For this reason the content will be included by search engines.